All Seeing Eyes is a band I’ve been keeping an eye on for a little while, with promises of their upcoming album and free tracks on show for last few months. It’s been promoted really well, and now here we are – Trinity Road. Featuring Ben Colton from Neverworld joined by Kenny Fraser and James Thackway, this is a mammoth of an album at 18 tracks of full on progressive metal! The album is set up perfectly with The Enlightened Ones, a track with some nice guitar harmonies before slamming into a really cool power/prog riff. This twisting, turning track provides a great start to the proceedings, with some fantastic lead vocals and harmonies too. The songwriting on display right away is great, with lots of nice dynamics within the very first track alone! Prog aficionados are going to want to hear this album. It’s not often enough the UK produces a band like this, with such a strong sense of songwriting and some fantastic musical moments. Tracks like Haunted give us emotive soundscapes with some powerfully written melodies and some great piano playing with a Fates Warning/Redemption sort of sound channelled through a British musician’s sense of melody. There’s a lot on offer with this album, as you may well expect from an album as long as this (or so you’d hope, many fall flat way before their end!) From solemn sounding tracks that evolve later on into weighty metal titans later on such as The Cube (which features Crimson Glory’s Ben Jackson) to some straight up heavy metal in the form of tracks like Break The Chains which has an old school Queensryche feel to it but again offering that little something different in the form of All Seeing Eyes’ trademark melodic metal sounds. Hunted is also a cool little number, featuring ex Neuronspoiler members Dave Del Cid and Dave Shirman for a mighty flurry of riffage with some real energy and impact. All Seeing Eyes manage to write progressive metal tracks without falling too much into the temptation of lengthy songs for the sake of lengthy songs (there is Demons which is a fantastic example of how lengthy songs really ought to be done!) and the song on this album are all pretty focusses with powerful choruses and great riffs throughout. The album closes with The Aftermath and this track really delivers that necessary final blow in a nice dramatic fashion, with a great build up and lots of nice light and shade on display, as I have come to expect from a project prominently featuring Ben Colton now. This is a really strong release, with some really solid production. The guitars sound really nice here, with some really great sounding solos and the vocals are produced fantastically throughout, both lead and backing. The guest performances featured have been equally mixed in really well and it all gels together so nicely! I would have liked a little more bass guitar in the mix but overall the mixing and mastering is totally solid to be honest. My only slight issue is the programmed drums, but it’s not something that has a super negative effect on the album and the experience of it as a whole. It’s been done well enough that most listeners can’t really tell at all, and the drumming has been programmed really well, but nothing for me personally can beat what a human drummer can bring to a band’s sound. It’s really the only thing I can think of for this band to improve, I’d love to hear what they could do with a drummer powering the rhythm of the band, as good as the programmed beats already are! 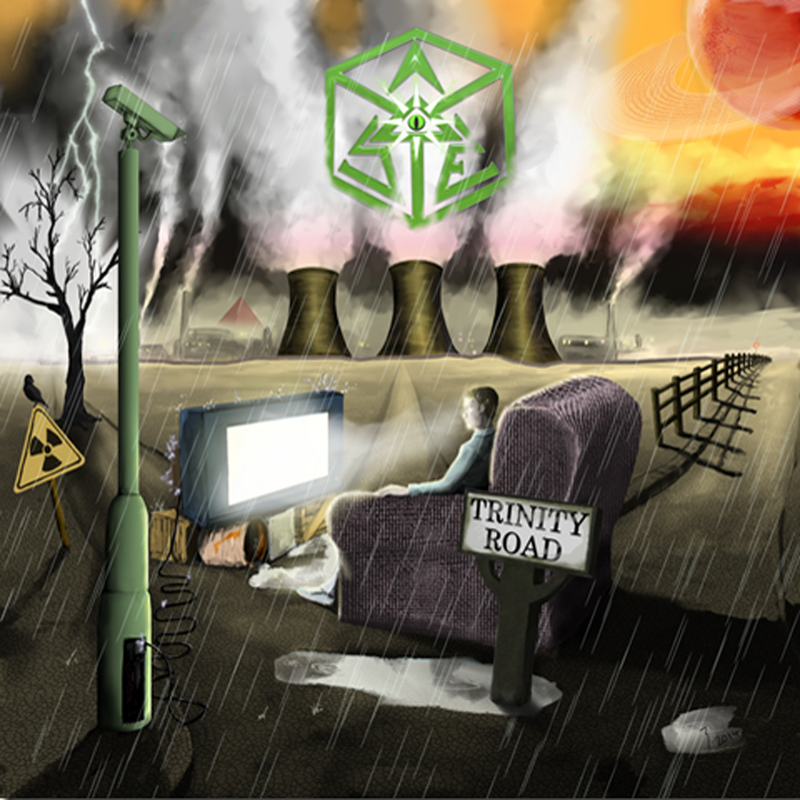 Trinity Road is an astonishing debut album from All Seeing Eyes. The amount of work that has gone into this is crystal clear for all to see, with numerous really well done guest performances, songs that don’t drag the listener down into boredom territory even at its lengthy 108 minutes, which is a feat even for legendary artists to achieve! This is something to be proud of and something really worth checking out for fans of melodic progressive metal! Christopher Sampson is a talented young musician I discovered when I met him at a musicans meeting in Peterborough. I also saw him perform live as a bassist with fantastic local NWOBHM band Untamed, and I could see he was quite talented from the offset. His new EP The Blood Of The Lamb II is a progressive metal journey that although 4 tracks long is in fact about an hour of music in an EP! Opening up with Welcome… Beast, straight away there’s a bit of a Queen influence before heading into classic prog synths with a vocal slightly reminiscent of Geddy Lee but with a bit more edge. This song is all over the place in a good way, with so many different twists and turns it would take a very long review to describe it all. The fact there is songwriting this strong right from the bat is a massive strength in Chris’ advantage! With heavy riffs meeting tight rhythm sections and well performed synth passages, this is definitely masterpiece, and the risky move of opening with an incredibly long number certainly pays off! There’s some great dynamics on display, from heavy sections to more calm breakdowns that build atmosphere with spoken word too. The vocal range for such a young singer is also very impressive, and the instrumental work on display is also equally impressive. Follow The Spiders is next up, opening with a creepy atmosphere, before slamming into some awesome riffage with some screamed vocals by Emilio Alucard, contrasting with Chris’ lighter vocal. This song although shorter than that the preceding track is equally full of changes in dynamics, and has some great melodies throughout too. This one feels a little more like Coheed And Cambria and more modern progressive rock and metal, but still has some really cool old school sounding synths and some Dream Theater style riffage too. A Kiss From The Lips Of Deceit/Climbing The Blue Mountain has a really nice chilled out vibe to begin with, with nice clean guitar chords, some great percussion building up an atmosphere and some vocals from Charlie Cassells providing a really well performed duet from her and Chris here. This is a really nice track, and offers something a little different from the two that came before. There’s some great guitar soloing later on, and yet again great use of dynamics here! The EP closes with Dancing To The Melody Of Madness (and Drinking The Blood That Remains) and this is another epic at 28 minutes long. Opening up with delicate piano before ripping into a massive guitar riff with some great synth melodies layered on top. This is another track with a hell of a lot going on, even with some saxophone moments and even some stuff that borders on jazz in places! There are plenty of awesome riffs here, with really heavy sounding guitars in places meeting lighter sections later on. Tension is built and released really well throughout the track’s long runtime too! This song has lots of different parts in a very classic but highly appreciated prog rock methodology, telling an epic tale throughout. I am told there are a lot of references to the genre of progressive rock itself. I must admit personally couldn’t them out on the whole, but at the same time wouldn’t really want to spoil it for prog rock fanatics, so for that reason as well as the music itself I certainly recommend checking this out! The production is really quite good, with great studio quality and well recorded instruments throughout. Clearly a hell of a lot of thought and effort has gone into this release. 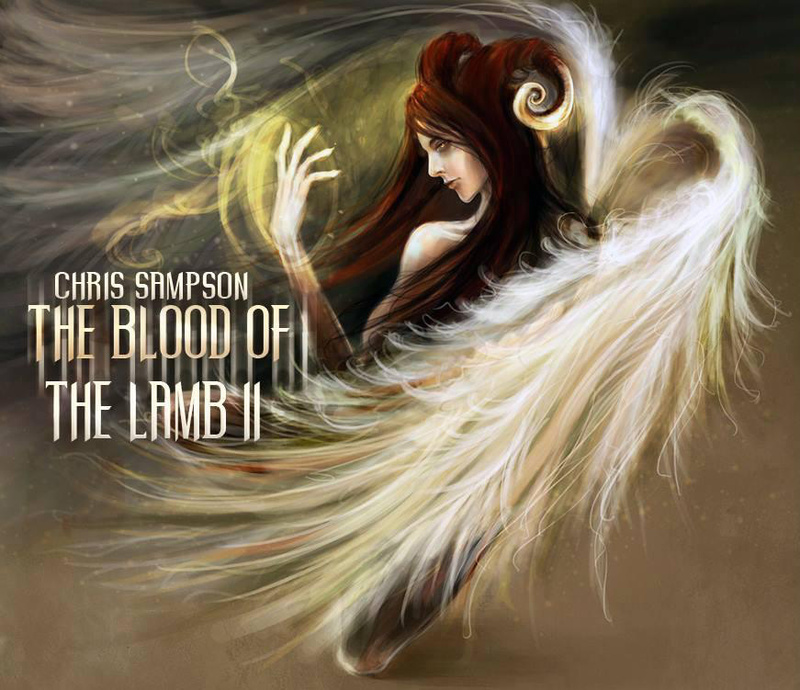 This is a fantastic release from Christopher Sampson, with the advent of him travelling to uni to study the art of music, I am definitely interested in seeing what happens next with this young man! 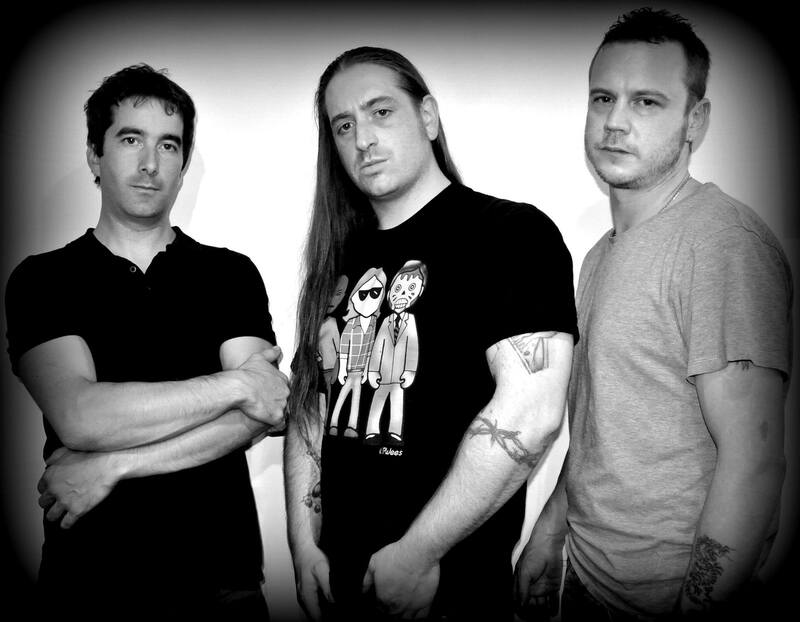 Subjugation is a thrash metal band from Essex. Although fairly new to the scene, having only formed in 2012, they have already recorded their debut EP, which combines elements of thrash, death and progressive metal. Starting off with “The God You Know” this is a full on thrash attack, starting off with a technical riff that gives way to some pounding drums, before another build up full of more dissonant chords, and then giving us the main verse. The vocals are very well performed, with lots of grit and anger involved. Plenty going on the song, lots of layered guitar parts and the like help make this a very full bodied song. “Welcome to Hell” carries on establishing the bands style, and makes use of quiet then loud dynamics to full effect. This song also utilises some clean vocals to good effect as well when combined with the harsher vocal style. A clean breakdown gives a break in tension before giving way to a crushing riff that is very old-school thrash in execution. “Adrenaline Rush” finishes things off with lots of chugging riffs and a cool feel to the song that I can imagine makes this quite a fun one live. The intro has an almost Xentrix feel to the riffs before giving way to a more conventional approach. A very cool track overall. The production is very good, everything is loud and audible as you’d expect from modern thrash. This is also very good for a debut EP as far as production standards go! It was mastered and produced by some quite high profile people in the modern metal scene though, which is probably why. 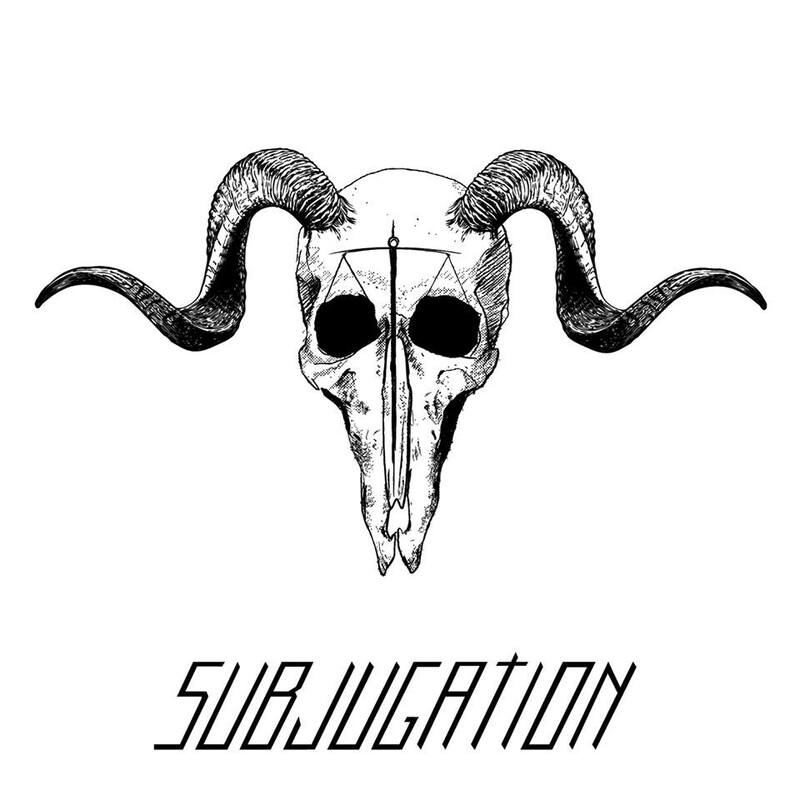 Overall, an awesome debut effort from Subjugation, but it would have been appreciated had there been a few more tracks. Other than that, well written and performed, and very good sounding! 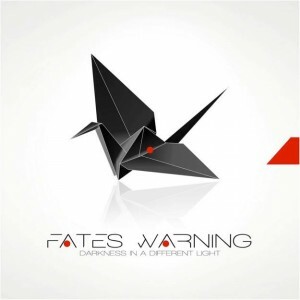 Fates Warning – Darkness In a Different Light. It has been nearly ten years since “FWX” and Fates Warning have finally released a new album, entitled Darkness in a Different light, now via InsideOut instead of their long time label Metal Blade. Line-ups have changed slightly, with Frank Aresti back in the band on guitar alongside Jim Matheos and Booby Jarzombek replacing the legendary Mark Zonder on drums. For all the changes, the album still sounds like Fates Warning at their best though! “1,000 Fires” slams right into action with twisting lead guitar over heavy grooves. Lots of changes in the song happen even before the song really kicks into its main riff, with chord sections reminiscent of the “Parallels” era blending with riffs from the later 90s albums like “Disconnected.” Intense playing all around finally leads us to the mighty Ray Alder’s vocals. I have read many a story and heard many a “fan” proclaim that Ray has lost it in recent years, but straight away you can tell this is a vocalist on top-form, hitting every note with clarity and emotion in equal measure. As a first song on the album, this one is hitting it off in just the right way; shedloads of powerful technical riffs, played with the groove and focus Fates Warning is known for. “Firefly” was the first song released from the album, featuring straight up heavy riffage with a powerful vocal performance, and one of my favourite choruses from this album. The solo on this one is really cool too, with a solid underpinning from the rhythm section that really works, leading seamlessly back into the song itself. “Desire” starts us off with a nicely effected clean guitar that leads into the main riff of the song; this is one of the shorter songs on the album at 3:59 but nonetheless fits plenty of the dynamics the band is known for into that short space of time. “Falling” is a nice acoustic track with a fantastic heartfelt vocal, with touching lyrics, and a great sense of melody. Sadly, this track was just too short for me; however there is a bonus track on a second disc that does build on these ideas which I am quite thankful for! “I Am” is another highlight of this album, building up atmosphere and with a nice spotlight on the bass playing of the seriously talented Joey Vera (also in Armoured Saint!) the band plays some awesome layered riffs. Another belter of a chorus here, with lots of awesome dynamics that put the band on an equal footing with any progressive metal contemporary. “Lighthouse” is one of the slower tracks on the album, with lots of atmospheric guitars, and a lot of well thought out and emotive vocals from Alder. This song is a perfect example of building atmosphere over the course of a song, and is something other bands on the progressive metal scene should really take notice of. This leads us onto “Into The Black” which I have seen some people describe as having an almost Opeth-like sound which I can understand but Fates Warning tackle that kind of sound in a much more melodic fashion. This song has lots of varying riffs and sections, with some really heavy grooving basslines jamming as perfectly with the drums as they ever have in this band. Lots of harmonies give extra power to the vocals on this one to make yet another highlight on an already fantastic album. “Kneel And Obey” cranks up the heaviness a notch, with lots of heads-down metal riffs and a lot of layered guitar parts giving a full sound to the song. “O Chloroform” is slightly more chilled out but no less a good song for it. “And Yet It Moves” closes the album in true old-school fates warning fashion, easily the longest song on the album at just over 14 minutes, the song starts with a kind of neo-classical acoustic guitar section, leading into some truly progressive riffs and changes, fairly reminiscent in the way it approaches structuring to older songs like “The Ivory Gate Of dreams”. This is easily a top-track of the band’s career, worth putting up with their with many a classic from the band, with so much to offer but always with a great focus on songwriting and technicality that never goes over the top as many a “prog” band may be known to do. In terms of production, this is top-notch, world class material from a band already known for having spot-on production. Everything is perfectly clear sounding, without being too “cold-sounding” as is often a flaw in the digital production era. It hasn’t been pushed to the max, it still has lots of audio dynamics to offer and everything is pretty much perfectly balanced and really well recorded. Overall, this a fantastic album, well worth the wait and if you haven’t heard of Fates Warning (why not?) then this is as good an album as any to get into them with. “Darkness In A Different Light” is a Powerful album with incredible musicianship and it is fantastically written. Here’s to the future of Fates Warning, and here’s hoping the next album isn’t too far away this time! “IX” is the second album from Wakefield based Heavy Metal band Hamerex, who have kept the flame burning for old-school British metal for a good 9 years now, and their experiences and the skills they have gained are all on show with this excellent new release. With atmospheric whispers that send a chill through the spine, “IX Circles” is a haunting and heavy opener to the album, with keyboards and groove laden guitar and basslines. The song leads into the heads down rocker “Life Of Death” which combines Megadeth style guitar riffs with Maiden harmonies and a proper ballsy singer, the likes of which Metal has not seen in far too long. He belts out the vocal parts but does so in a tuneful way without going off key, a very skilled metal vocalist indeed. The album has a very “80s” attitude, with lots of riffs setting the tone from the get-go. Various styles from Thrash to NOWBHM to a bit of Progressive Metal are covered here, all with the personal touch of the band themselves. Songs like “The Night Of Samhain” showcase this perfectly, with lots of changes in mood and sound that really drive the song onwards with epic choruses and stabbing riffs with lots of synths and prog-style chords, reminiscent of bands like Dream Theater, but channelled through a British perspective. The band is full of great and passionate musicians, with Steve Blower on guitars bringing blistering riffs, solos and some intense backing vocals. A very competent player with a lot of classic metal style. Chris Moules on vocals is one of my favourites on the scene, and having played with them live back in February, I can assure you pulls it off live too. He has the ability to really belt out aggressive sounding vocals but he can also reign it in and sing cleaner when the songs require it. A really dynamic and interesting vocalist! Andy Firth brings a very “Geezer Butler meets Steve Harris” vibe to the mix, with a lot of grooving basslines played with a high level of precision, and he is quite an active guy on stage too! Darren Kelsall brings a nice hard hitting attitude with his drumming, reminding me of an 80s Lars Ulrich but with a British edge. What is great about Hamerex is that they don’t stick to just one approach. Songs like “The Extremist” and “Edge Of Madness” bring a Thrash element to the mix whilst songs like “The Mortuary” remind me of a much heavier Queensryche or Dio. “The Stranger” is also an amazing song, with a very “Rime Of The Ancient Mariner” feel that then takes a completely different turn into pianos and acoustic guitars with powerful lead guitar. One of the big standout tracks for me, along with “The Night Of Samhain” is the closer of the album, “Still The Wall Remains” with an emotional acoustic intro that opens out into something very much like Bruce Dickinson’s solo material with some really nice vocal passages, really nicely recorded too. The chorus powers through with multi-layered vocals that really bring the message of the song home. Overall, this is a massive leap above the previous album “Rites of Passage” for me, which was already a great release. The production values have been upped compared to previous releases and everything is nice and audible, the vocal sound in particular stands out, with great sounding reverb in use on very well recorded takes. The album is being released as a digipak and looks fantastic, the artwork is really reminiscent of an 80s metal band’s art, and is beautifully done, as a whole the package looks fantastic! These guys are definitely worth your time, they have spent a lot of time crafting their material and they play live a hell of a lot too. This album will definitely please you if you are a fan of proper British heavy metal. 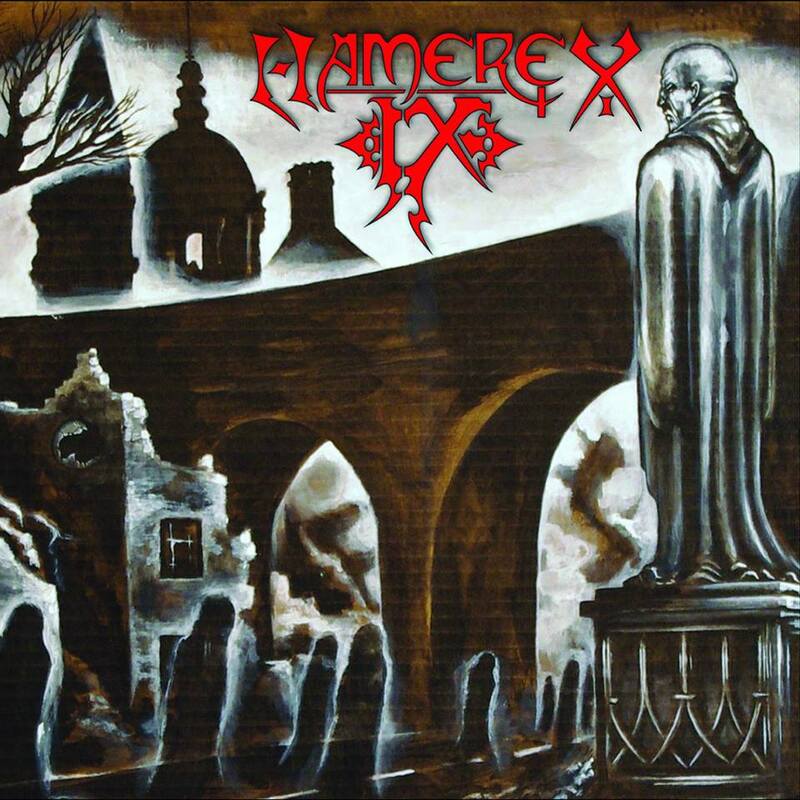 The second album from Hamerex ‘IX’ will be released on Monday 7th October 2013 on IX Music and Code7 Distribution.